30 DAY- CRAMP FREE SYSTEM! TRIPLE ACTION FORMULA!... PARASITES - COLON CLEANSE - DETOX!! LIMITED TIME OFFER!... 2 BOTTLES FOR ONLY $18.95!! PLUS... FREE & SAME DAY SHIPPING!! 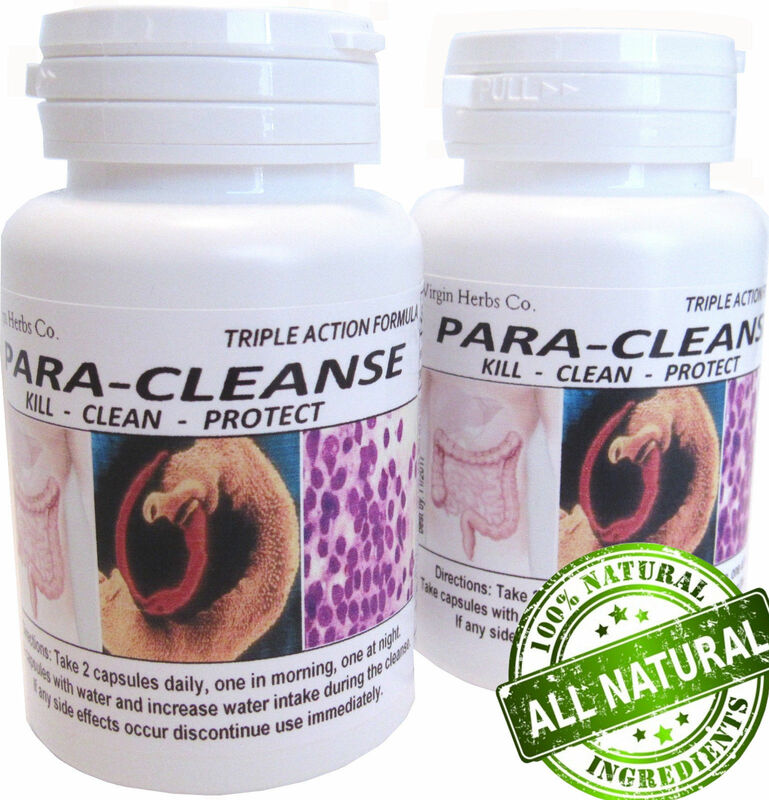 ~Para-Cleanses' 100% Natural formula- Detoxes, Cleans, Flushes, and Kills all Digestive system areas, all in 1 capsule!! Para-Cleanse is a 30 day system. You will take 2- 725mg capsules daily for the 30 days. Why 30 days and not 5 or 7 days like many others? Yes, 30 days is a long time, but by extending the period of time to 30 days it lowers the chances that you will experience painful cramping, stomach pain, or other digestive pain that is typical with other (short term) Cleanses! No need for hand fulls of pills! Many people are under the impression that you need to take 4-5 capsules every day, and that taking 50+ tiny amounts of different herbs is the way to go; Para-Cleanse is made of 11 powerful herbs proven to get the job done. Each capsule has 700mg's of herbs needed and guaranteed to get the job done!! Para-Cleanse has absolutely no fillers. WARNING!- CHILDREN, WOMEN WHO ARE PREGNANT, OR WHO MAY BECOME PREGNANT SHOULD NOT USE THIS PRODUCT. 100% GUARANTEE: THIS PRODUCT CARRIES A 100% GUARANTEE. IF, (FOR ANY REASON) YOU ARE UNHAPPY WITH THIS PRODUCT PLEASE CONTACT US. Thank you!... We understand that you have many different sellers to buy from and we want to take this time to say "Thank you!" We greatly appreciate your business and we understand that without you we would not be here! If you ever have any questions, concerns please feel free to contact us anytime! Shipping... Limited Time Offer- FREE SHIPPING (U.S. Buyers only) Orders placed before 1pm est. now ship Same Day USPS First Class. *(All orders placed on weekends or holidays will be shipped the following business day). All orders placed after noon of Friday will be shipped the following Monday. 1oz WILD HARVESTED Oregano Essential Oil Origanum Vulgare Natural 6,000+ SOLD! !